Someone asked me the other day to write a post about their company, requiring that I amplify said post with social shares but didn't want to send me any of their products, or pay me. Then they asked that I apply for the campaign, and IF I was selected they'd provide me with a $15 gift card as compensation. As you can see by my bolded and italicized words, I was irritated by this. I told this story to CB and he had a really good response, as he always does. He told me that I shouldn't be offended, and that I should simply see that this company didn't understand the value of a blog. I absolutely saw where he was coming from, and felt silly for getting all worked up. The more I sat there and thought about it though, the less silly I felt, and the more I felt justified in my initial response. I then started thinking how blogging looks to someone who has never blogged before. Well, what IS the value of a blog? Sure sitting down at the computer and popping out a blog post in a couple of hours seems easy enough, but is it? It's not just about the time it takes to write that post, on that specific day. It's also about all of the work that has gone into growing the blog into what it is today. What if I emailed this company telling them I was shopping around for the type of service they offer. Then I told them I wouldn't be paying, but would send them a $15 gift card if I did end up selecting their company for the job. How hard would they laugh at me? I bet they'd laugh so hard that surely a blood vessel would pop. 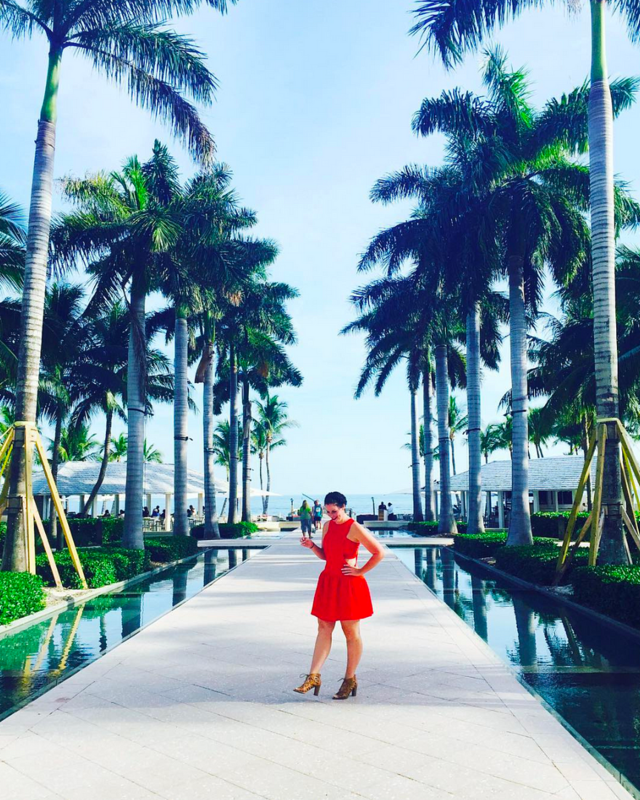 Discussing sponsored posts as a blogger is a bit of a taboo subject, but it shouldn't be. People have careers where they are paid for their time, why would a blogger be any different? We have worked hard and spent a lot of money on giveaways, advertising and promotion in order to build and grow our blogs. We've poured tons of time into our content to keep those followers we gained along the way. Like most of you out there, I work full-time and have to devote the off hours to the blog. There are so many times I've wanted to do nothing but crash on the couch, but instead I have to spend my night or weekend taking pictures and writing posts that are due the following week. I can't tell you the last sponsored post I had that I didn't have to go out and buy materials for, or that didn't take multiple hours, sometimes even days to complete. I might be different than some, but I certainly am not saying I need to be paid for every sponsored post if I perceive the value of what I'm receiving to be worth the time it will take. Take tickets to sporting events for example, if you gave me free Cowboys or Vols tickets I'll write all of the posts you could ever want. Tickets are worth it to me.... in case anyone like the folks at Stubhub were wondering. LOLZZZ. My Dad gave me a lot of good advice over the years. One thing he told me that always stuck was, "A good deal is a state of mind." I write many posts that are straight trades, where no money is awarded. You should do whatever you feel, in your mind, is a good deal and don't stand for anything less. If you feel good to promote the company for free, then promote it for free. If you feel as if you should be paid a monetary compensation because your reach is greater than that of the company you're promoting, then request that. There is no wrong answer, or wrong reaction. Back to my initial question, what is the value of a blog? Aside from what I've already discussed, think about the insane reach a single blog post can transmit. Take my Instagram Hashtags for Bloggers post. I wrote that post 7 MONTHS ago, and yesterday that post alone got 632 hits. Seven months later and it still gets steady traffic, every single day. Posts that are YEARS old can go viral out of absolutely no where, I know it for a fact because I've seen it happen on my blog. Thanks to sites like Pinterest and of course Google, when you sponsor a post on a blog, you aren't just paying for space on that blog for one day, you're paying for a post that could resurface at any moment and gain massive traffic for years to come. THAT RIGHT THERE is the single thing that companies need to understand about the power and value of a blog. That book in the blog picture is so funny to me! I totally agree with your thoughts on the value of your blog! PREACH. so so soooo true. I love this post. I love it when companies want me to use my blog to promote them.... with nothing for me. I'm taking the time to review your product or promote it... why shouldn't I receive something for my time and effort? Also I mother effing LOVE that notebook - where is it from? Great point--I hate when companies that are probably kind of sketchy contact me and say "Hello Kathryn, very nice blog! Would you be interested in promoting such and such?" It feels very impersonal and most of the time I don't even respond--is that bad? Amen! I can't believe how many companies expect bloggers to work for free or for the POTENTIAL of MAYBE getting their posts shared on Twitter or something. And, honestly, I don't think it's that they don't understand the value of blogging. I think they DO, which is why they're coming to us, and they are counting on us bloggers not to realize what we COULD be getting if we demanded it. AGH all of this is so true. I have had a ton of companies ask me to promote for free...and I feel like my time is more valuable than they think it is. Love this post! I feel the same way; my blog may not have a lot of "value" but I work hard on it and that should be recognized. If my blog is good enough to promote your product, its good enough to be paid. Love this!!! This is perfect. Can I just throw out a huge AMEN?! I frequently visit your blog but has never left a single comment once but this, THIS article is just so on point. I love this post! What. 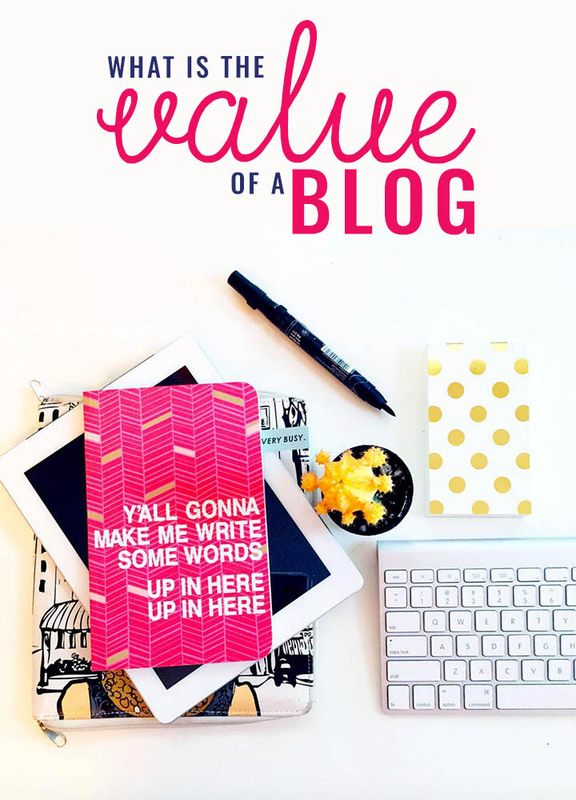 Great way to think about your blog! I'm so glad to see this post. So glad. And it's true. My blog is worth a lot to me. It doesn't make me what I spend on it at all. I keep track of my spending and I write it off at the end of the year. Whatever I spend it 100% worth it to me. Thankfully, my mom is an accountant and helps me keep track of how to legally handle all of that. She brought up a good point as well. She said companies look at bloggers like "free" advertising and it's not right. It irks her that it's a dishonest way to say that they spent money on advertising, write it off, and then not compensate bloggers for their efforts. I get this and don't disagree...so, tell me, what do I do in response to a random email from someone who wants me to promote his wife's cancer story and some event they are having to spread awareness about the type of cancer she has. My gut feeling is that if it were someone I knew personally or had some kind of connection to, things would be different but he emailed me out of the blue and it just seems so...random...shady...I don't know...off. But, cancer? How DO you respond to those irritating pitches?? Lately I'm getting tons of "we'd like you to create this post, and we will share it on our social media channels IF blah blah blah" I feel a little piece of me die every time I open one of those emails!